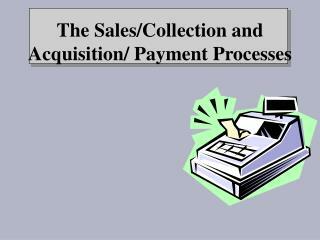 The Sales/Collection and Acquisition/ Payment Processes The purpose of the Revenue Cycle is to facilitate the distribution of goods or services to customers in exchange for cash or the promise of future payment. 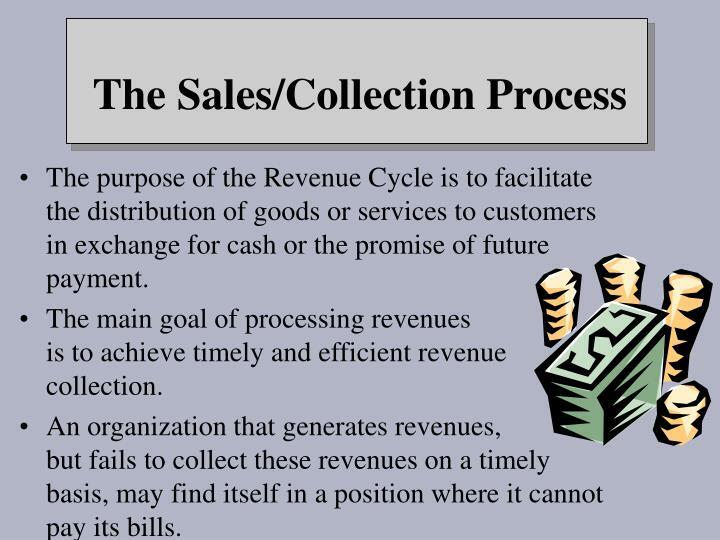 The purpose of the Revenue Cycle is to facilitate the distribution of goods or services to customers in exchange for cash or the promise of future payment. 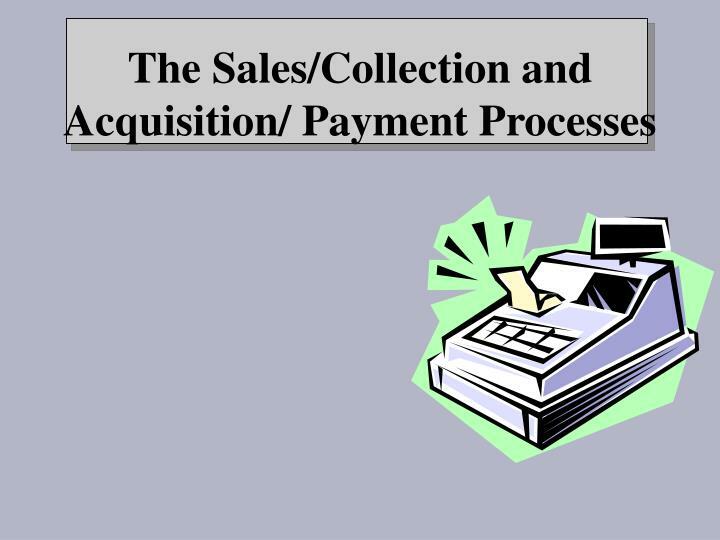 The main goal of processing revenues is to achieve timely and efficient revenue collection. An organization that generates revenues, but fails to collect these revenues on a timely basis, may find itself in a position where it cannot pay its bills. Process customer orders promptly and accurately. Bill customers in a timely and accurate manner. Collect from customers in a timely manner. Maintain accounts receivable master file by correcting posting sales and cash receipts. Safeguard products until shipped and cash until deposited. Forecast revenues and cash receipts. Sales department obtains customer order and validates. Credit department checks customer’s credit. Sales department determines that products or services are available and prepares asales order. Stores assemble goods for shipment which may involve using apicking ticket toremove goods from the warehouse. Shipping department ships ordered goods including a packing slip for customer validation. 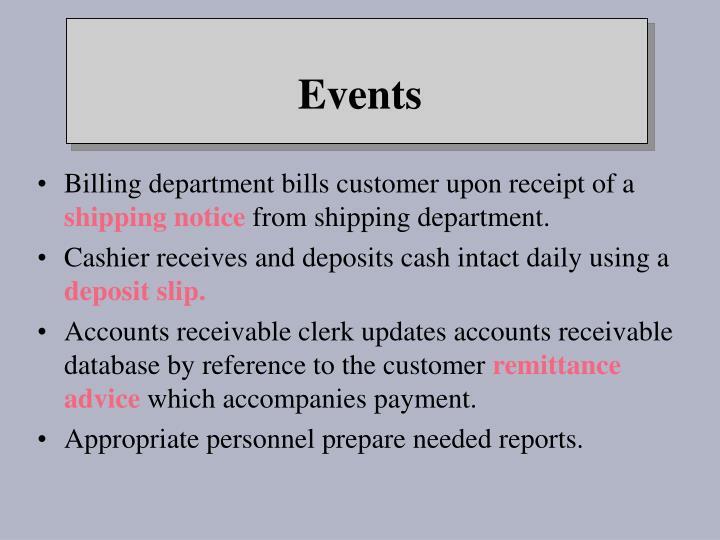 Billing department bills customer upon receipt of a shipping notice from shipping department. Cashier receives and deposits cash intact daily using a deposit slip. 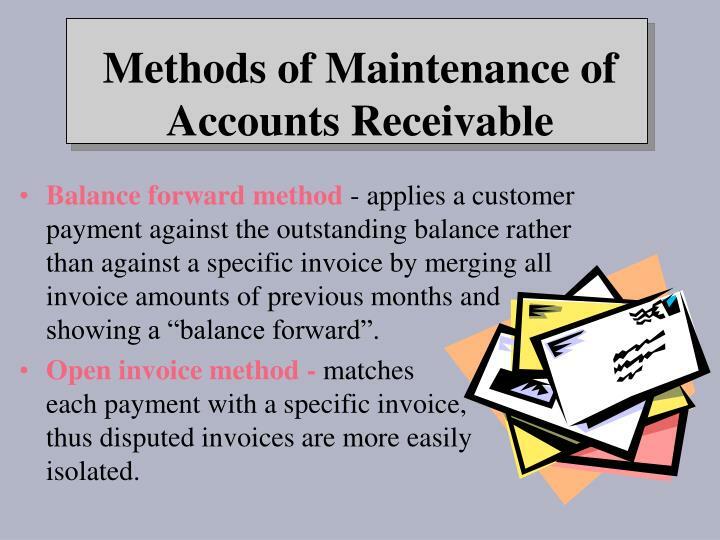 Accounts receivable clerk updates accounts receivable database by reference to the customerremittance advice which accompanies payment. Appropriate personnel prepare needed reports. Lappingis a type of embezzlement that involves the theft of cash and its concealment by a succession of delayed postings to customer accounts. 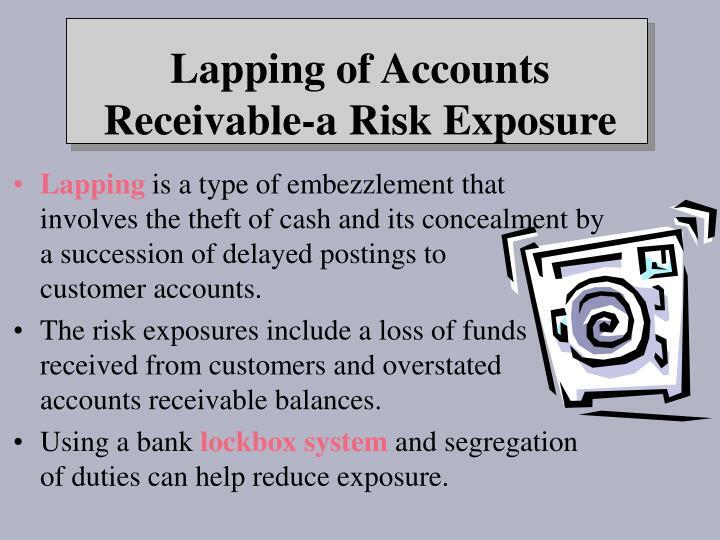 The risk exposures include a loss of funds received from customers and overstated accounts receivable balances. Using a bank lockbox system and segregation of duties can help reduce exposure. Balance forward method - applies a customer payment against the outstanding balance rather than against a specific invoice by merging all invoice amounts of previous months and showing a “balance forward”. Open invoice method - matches each payment with a specific invoice, thus disputed invoices are more easily isolated. Inventory is transferred, picked, and shipped only on the basis of a written authorization. 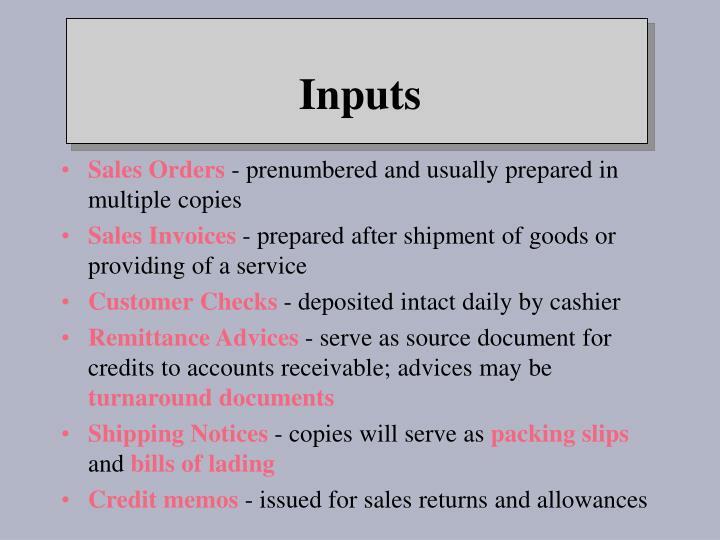 Customers are billed only upon the shipment of goods. Credit for returns is issued only after goods are returned and checked by the receiving department. 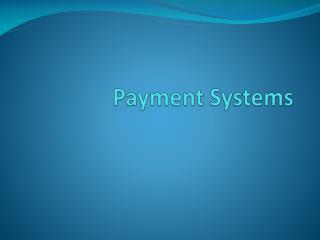 The purpose of this process to facilitate the exchange of cash with vendors for needed goods and services. 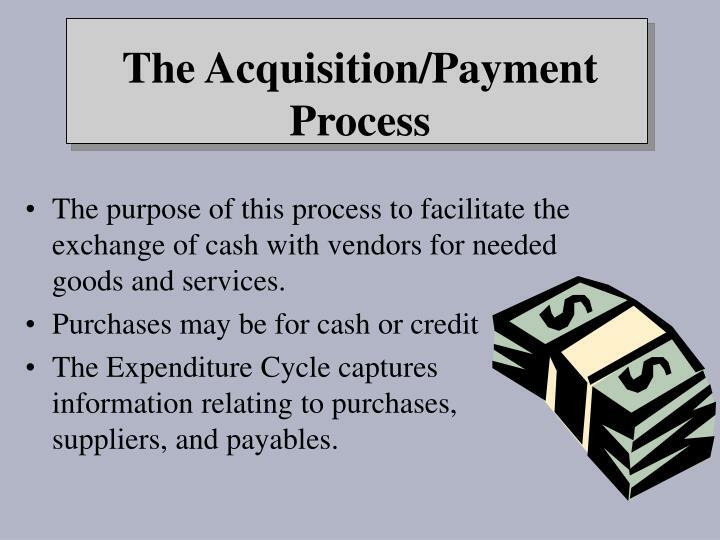 The Expenditure Cycle captures information relating to purchases, suppliers, and payables. 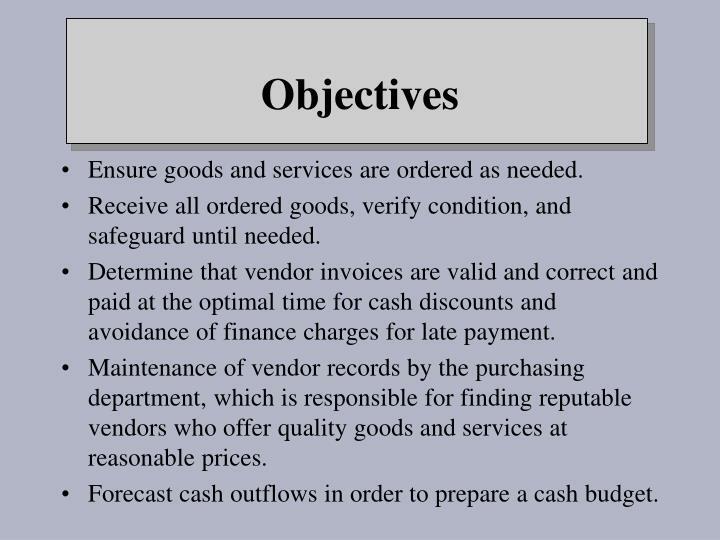 Ensure goods and services are ordered as needed. Receive all ordered goods, verify condition, and safeguard until needed. Determine that vendor invoices are valid and correct and paid at the optimal time for cash discounts and avoidance of finance charges for late payment. 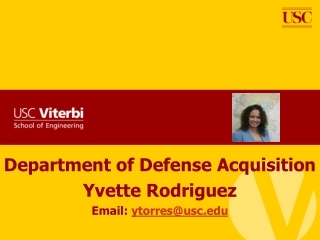 Maintenance of vendor records by the purchasing department, which is responsible for finding reputable vendors who offer quality goods and services at reasonable prices. 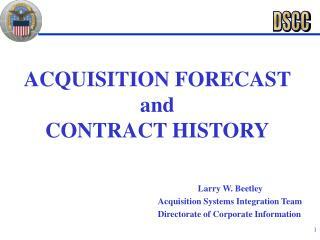 Forecast cash outflows in order to prepare a cash budget. 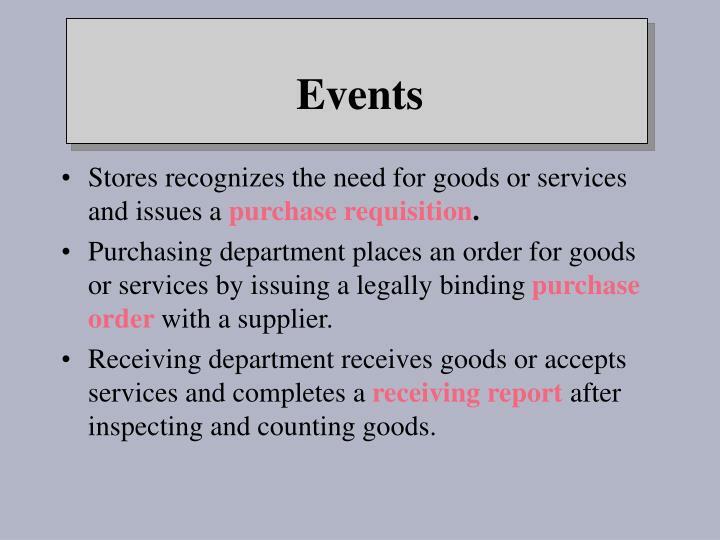 Stores recognizes the need for goods or services and issues a purchase requisition. 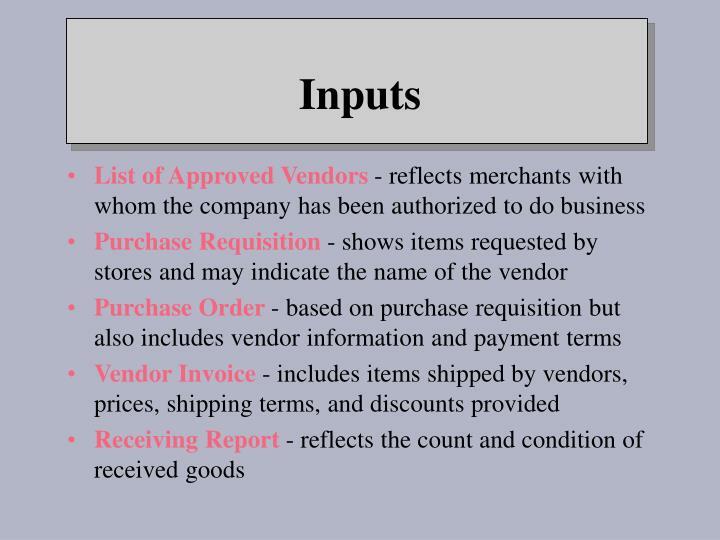 Purchasing department places an order for goods or services by issuing a legally binding purchase order with a supplier. 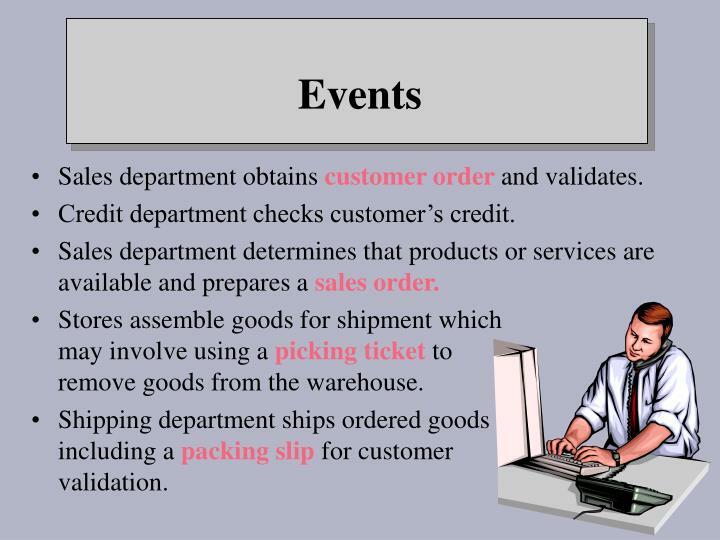 Receiving department receives goods or accepts services and completes a receiving report after inspecting and counting goods. 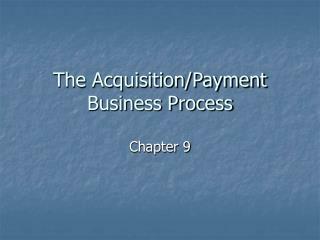 Accounts payable department ascertains validity of the payment obligation by vouching the vendor invoice to supporting documentation. 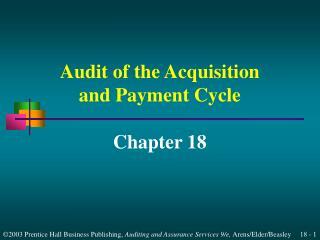 Accounts payable prepares the disbursement check on the basis of approved vendor invoices. 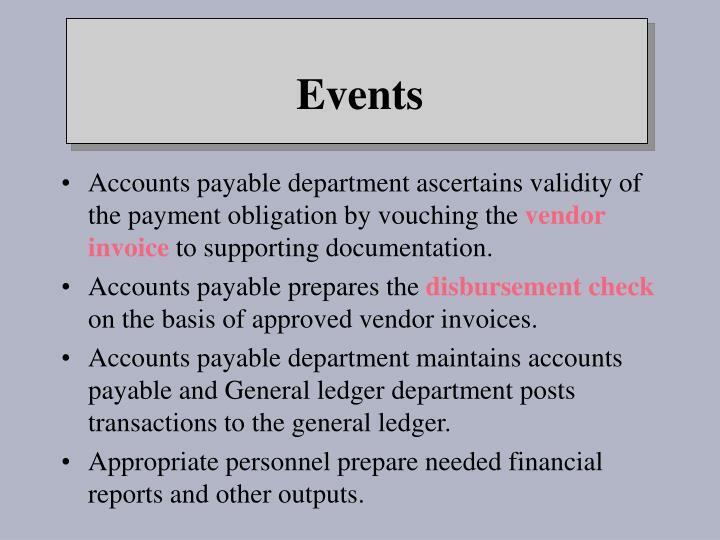 Accounts payable department maintains accounts payable and General ledger department posts transactions to the general ledger. 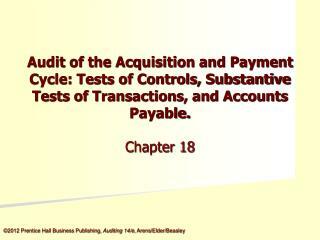 Appropriate personnel prepare needed financial reports and other outputs. 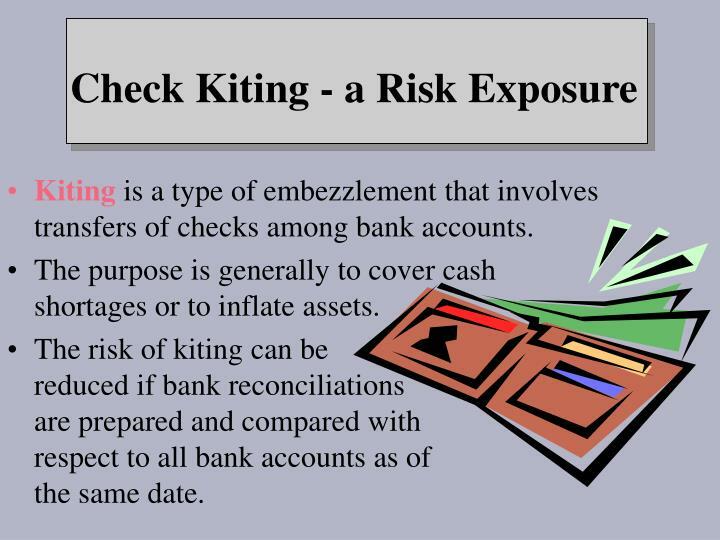 Kiting is a type of embezzlement that involves transfers of checks among bank accounts. 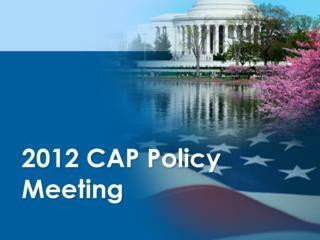 The purpose is generally to cover cash shortages or to inflate assets. The risk of kiting can be reduced if bank reconciliations are prepared and compared with respect to all bank accounts as of the same date. 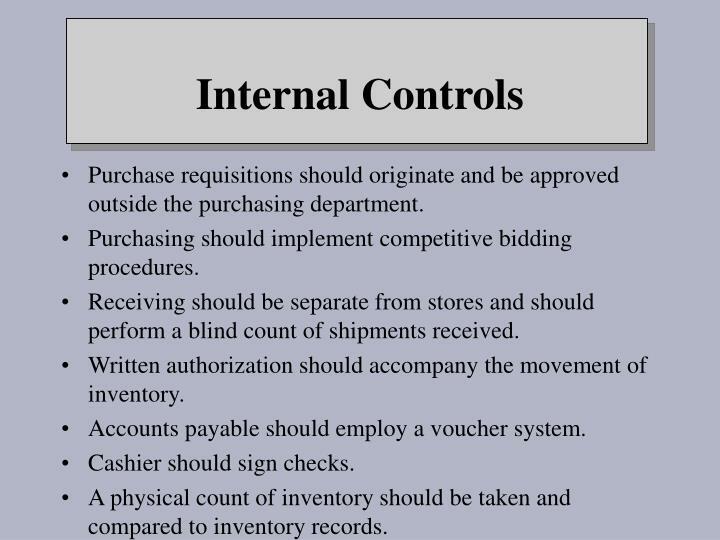 Purchase requisitions should originate and be approved outside the purchasing department. 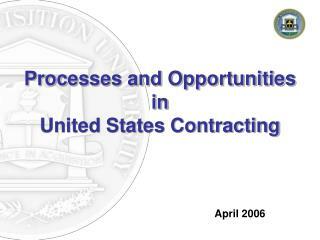 Purchasing should implement competitive bidding procedures. Receiving should be separate from stores and should perform a blind count of shipments received. 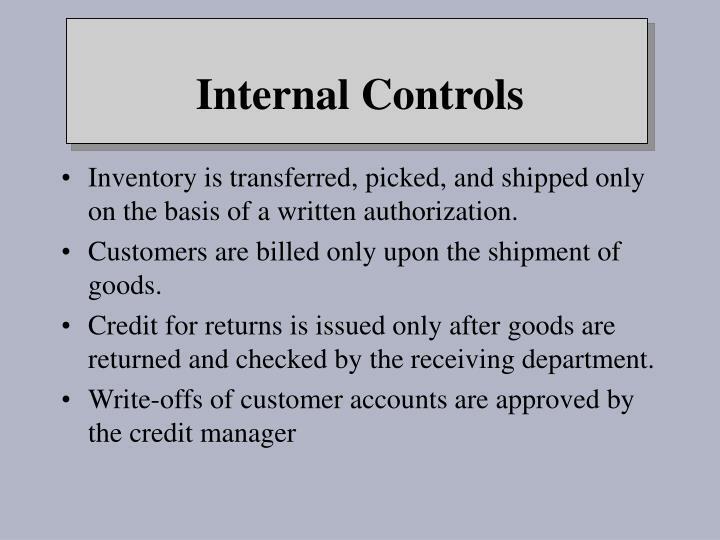 Written authorization should accompany the movement of inventory. 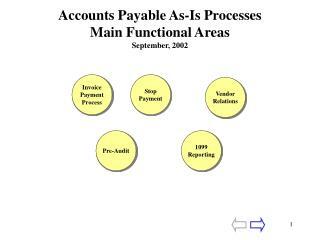 Accounts payable should employ a voucher system. A physical count of inventory should be taken and compared to inventory records. 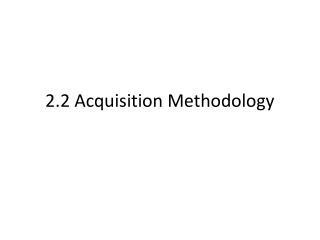 2.2 Acquisition Methodology -. 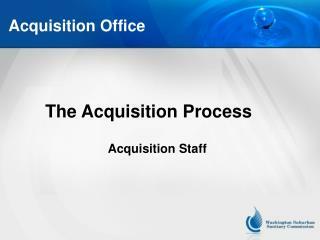 “acquisition methodology” – the processes employed and the means used to solicit, request, or invite offers that will normally result in issuing a contract. 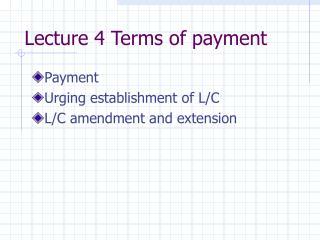 Lecture 4 Terms of payment -. payment urging establishment of l/c l/c amendment and extension. payment. 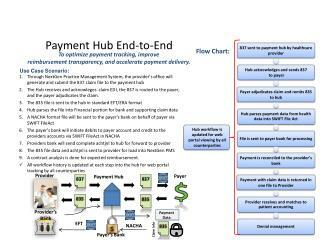 modes of payment remittance 汇付 collection 托收 letter of credit 信用证. payment --- remittance. 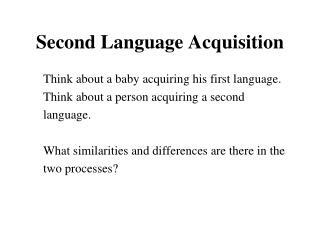 Second Language Acquisition -. think about a baby acquiring his first language. 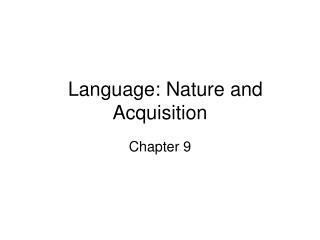 think about a person acquiring a second language. 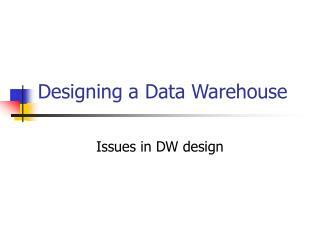 what similarities and differences are there in the two processes?. 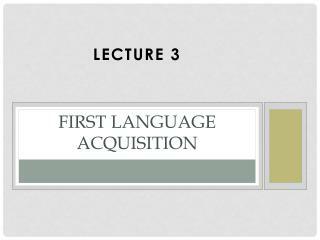 1 st &amp; 2 nd language acquisition. Acquisition of RE Power USD 1,560 million -Acquisition of 30% stake in energy brands inc. usd 712 million. 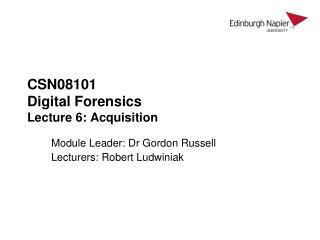 acquisition of negma labs usd 266 million. 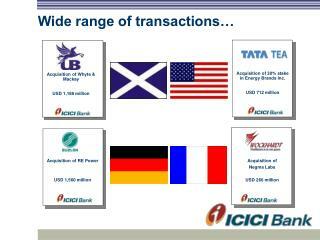 wide range of transactions…. acquisition of whyte &amp; mackay usd 1,188 million. 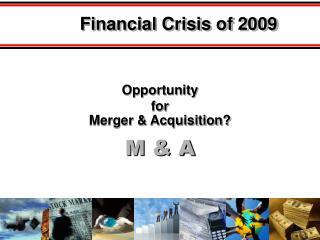 M & A -Financial crisis of 2009. m &amp; a. opportunity for merger &amp; acquisition?. 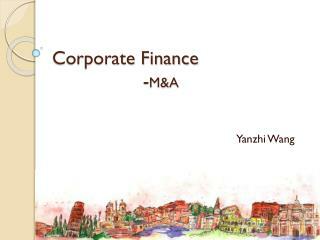 rationale behind m&amp;a. synergy economics of scale – horizontal mergers entry to new market tax advantages diversification.